What's the AMCAT Test? What can you expect from it? Home AMCAT Concept What’s the AMCAT Test? What can you expect from it? The smart approach to fresher jobs. 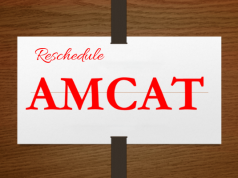 Scheduled the AMCAT Test or planning to give one in the near future? Heard a lot about it, but unsure whether it is for you or not and whether you should give the test or not? We are here to answer your issues related to the AMCAT Test. Is it only for B.Tech graduates? 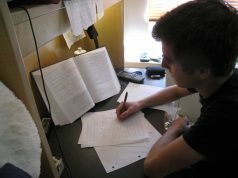 The AMCAT Test is more famous among the engineering students, but it is not restricted to them. Anyone looking to improve their chances of landing a good job can give this test. And we are not talking about landing a good job exclusively through the AMCAT Test or through the AMCAT portal, we are talking about your overall chances of landing a good job once you give the test. The AMCAT Test does not just bring recruiters and job seekers under one umbrella it also gives a thorough and complete assessment of your strengths and weaknesses. This gives you a chance to know where you lack and thus improve yourself while paying extra attention to honing your current skills. There are three compulsory tests that of English, Quant and Logical Ability which you need to give when sitting for the AMCAT Test. As you might have already guessed, the English exam tests your English skills and whether you have basic knowledge of the subject or not. Quant is all about quantitative abilities and evaluates the numerical ability of an individual. The questions are very generic and are keeping in mind with the fact that basic quant skills are required in all professions and all walks of life. Next is a logical abilities test, which assesses how good (or bad) a person is at interpreting things objectively, analyzing given data and performing under tight situations. Usually, this test is the most fun and depends completely on how much you have prepared for it and how good you are at seeing things that are there yet not there. The fourth one is a domain-specific module. During the test, you will be given the choice to select any two specific modules, based on the subjects you had chosen to study for your graduation or the kind of jobs you are eyeing. Each module addresses particular skill sets and job industry of your choice. Excel: Tests how well you can work on excel rather than how well you remember it. Jobs like that of Business Consultant, Business Analyst/Associate, Research Analyst/Associate, Accountant, etc. are addressed under this module. Computer Programming: This module judges entry level skills and exposure in Computer Programming. This test does not require the candidates to code during the exam. Jobs and jobs areas like Technical Support Executive, Computer Engineer, Content Developer-IT, IT Recruiter, etc. fall under this category. Physics: Just remember basic laws and principles of Physics and be clear in your concepts and you will sail through this exam. Lab Supervisor, Researcher, Technician, Manager, Consulting Physicist, Research Associate, Senior Physicist; these are the jobs available to a candidate after opting for this particular module. Chemistry: This module tests one for how well they know the various physical phenomena in Chemistry. This module opens up career options like that of Laboratory Assistant, Scientist, Research and Development, Chemist, Sales Representative, etc. Biology: Tests one for their knowledge and understanding of the basic concepts of biology and how it can be applied. Medical Representative, Nurse, Scientist, Research and Development, etc. are the jobs available and open for those giving this test. Marketing: A candidate will have to be prepared for all the aspects of marketing, ranging from fundamental to research and strategic planning. There are lots of offers like that of Sales Manager/Executive, Marketing Manager/Executive, etc. available. Finance and Accounting: The module tests the students for how well they understand the complex and critical aspects of the financial market and how clear they are on accounting practices. Accounts Executive/Manager, Finance Executive, Accounting Executive, BFSI Product Sales Executive/Manager, BFSI Product Services Executive/Manager, etc. are one of the few job options available to those choosing this module. Banking and Financial Services: Designed to check general financial knowledge and its application in the market, this test opens up the possibility for jobs as Accounting Managers, Corporate Controllers, Chief Financial Officers, Treasurers and Finance Officers, Cash Managers, Management Consultants. Human Resources (HR): Tests the strengths and weaknesses of a candidate and whether they can suit a generalist profile in HR. HR/Recruitment Manager/Executive, Training Manager/Executive, IT Recruiter, Sourcing Executive/Manager, etc. are few of the job options open for those taking this test. Operations: This module gauges MBA students on their understanding of the basic concepts about Operations Management and lays great emphasis on the practical aspects of Management. Job profiles like those of Operations Executive/Manager, Operation Research Associate, Supply Chain Manager, etc. are available. Pharmaceutical Sciences: Assesses a student on their practical and theoretical knowledge of new drugs and their purposes and different formulas of medicines. Research Assistant, Medical representative, Pharmacist, Chemist, Sales Representative, etc. are the jobs easily available to one after giving the AMCAT Test. Front Office: This module tests students on the basis of how good their knowledge of the hospitality industry is. Jobs like those of Front Office Executive/Manager, Sales Executive/Manager, etc. are available. Housekeeping: Tests the candidate on the basis of their knowledge about housekeeping, hospitality and peripheral activities associated with these two terms. Housekeeping Executive/Manager, Sales Executive/Manager, etc. jobs are easily available after choosing this module. Culinary skills: This module focuses on the understanding of the student about food and food concepts and the practicality and nuances of the food industry. Food Production Executive/Manager, Sales Executive/Manager, etc. are the jobs available. Food and Beverage Service: Tests candidates on their knowledge of various types of services in the field and their practical aspects. Jobs such as that of Food and Beverages Executive/Manager, Sales Executive/Manager, etc. are open up for candidates giving this test. 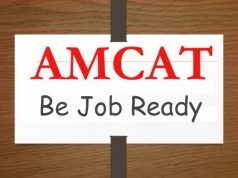 Now that you know what the AMCAT Test is all about, you can schedule one at the earliest and enjoy a plethora of job options available.